I decided to take control of my house full of “stuff.” The amount of sports stuff, play stuff, school stuff. Jeez! 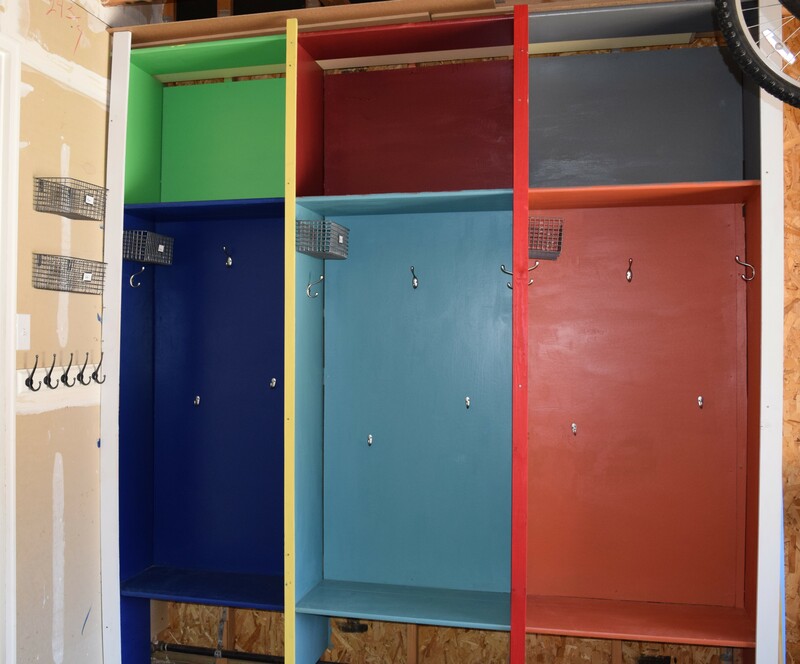 I couldn’t even walk into our small mud/laundry room because it was over-flowing with “stuff.” The steps in the garage were just about as bad. We only have a two-car garage so it’s not like we have room to spare. 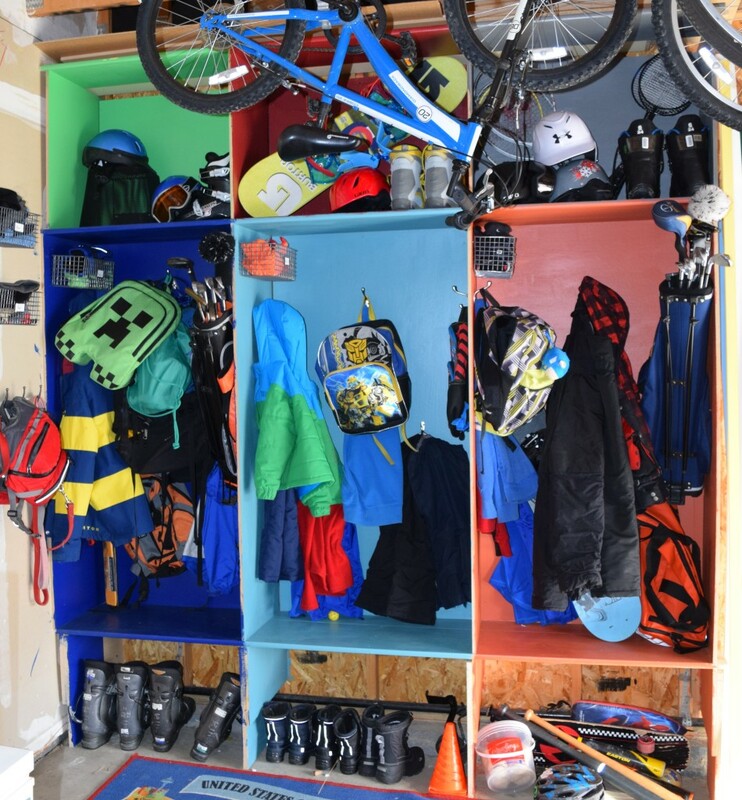 Time to get creative and use the space more efficiently. I sketched out some general plans and went off to Home Depot. God bless the guys that work there! I’m surprised they don’t run and hide when I come in with a notebook. 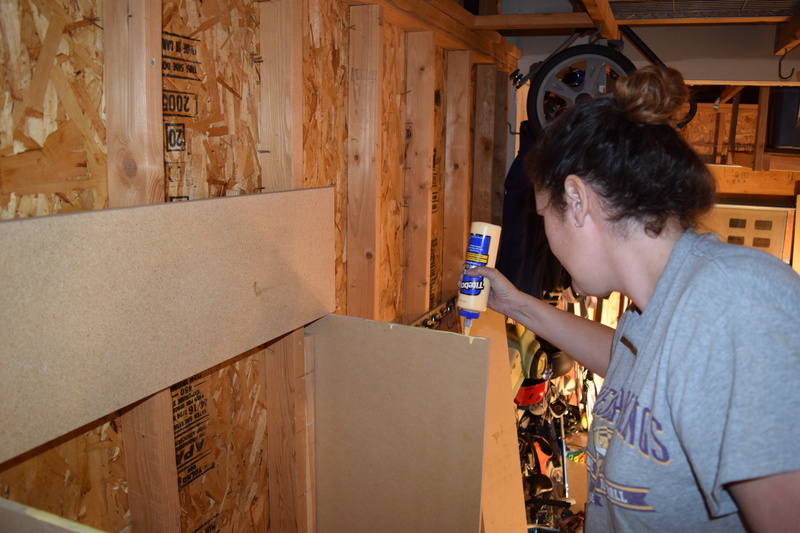 After 90 minutes of talking through my plan, I loaded all my pre-cut boards (Thank You Home Depot Guy!) into my SUV and headed home. 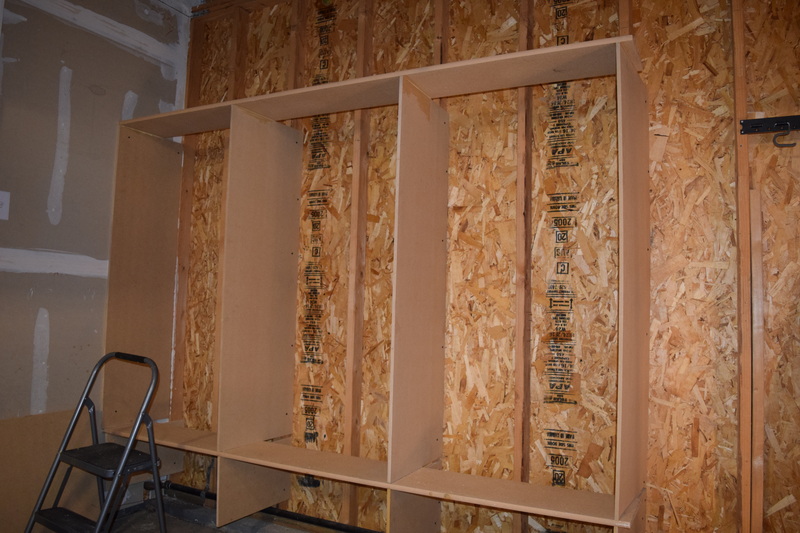 My plan was to assemble it on the garage floor like a bookcase and then secure it to the wall. (Think IKEA.) Then my husband came home early from work. I’m married to a brilliant engineer…who immediately began to question the “structural integrity” of my plans. 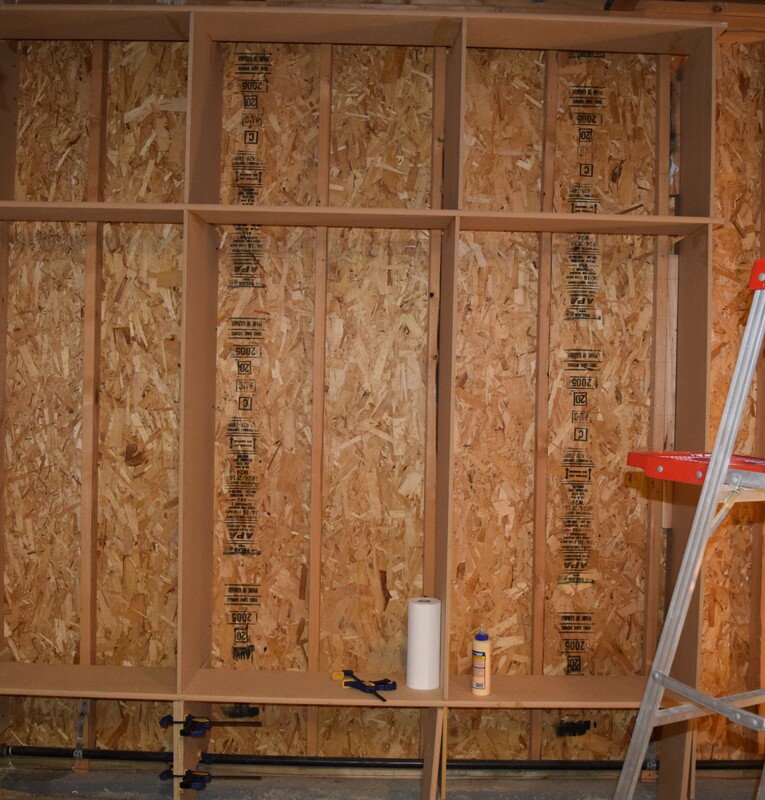 Since our garage isn’t dry walled and the studs are visible – why not build it directly onto the wall? We have three boys and the probability is high of someone climbing them. So, after some debate we reworked the plans with the pre-cut boards. First of all, screw the supports for your bench into the wall. Ours ended up being 20″ from the floor. 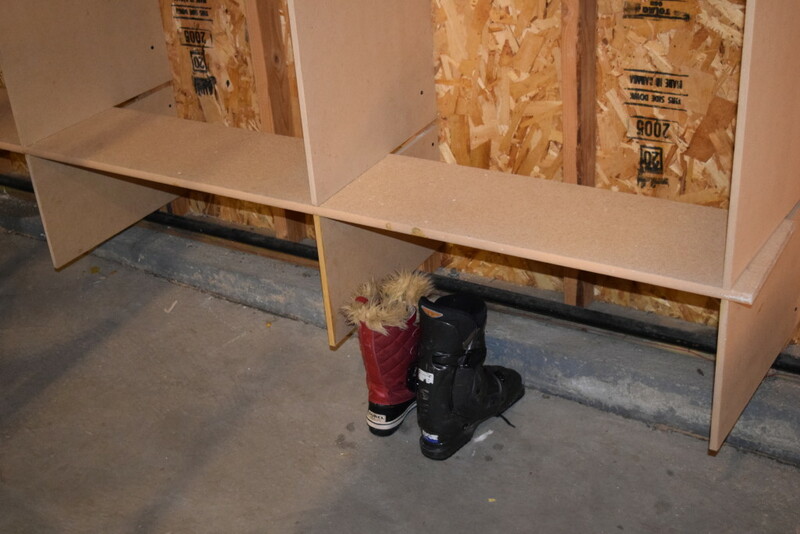 We measured it to accommodate the height of our ski boots. Next we glued on the bench which was pre-cut to be 8′ long. Glue works great but make sure you have clamps handy! 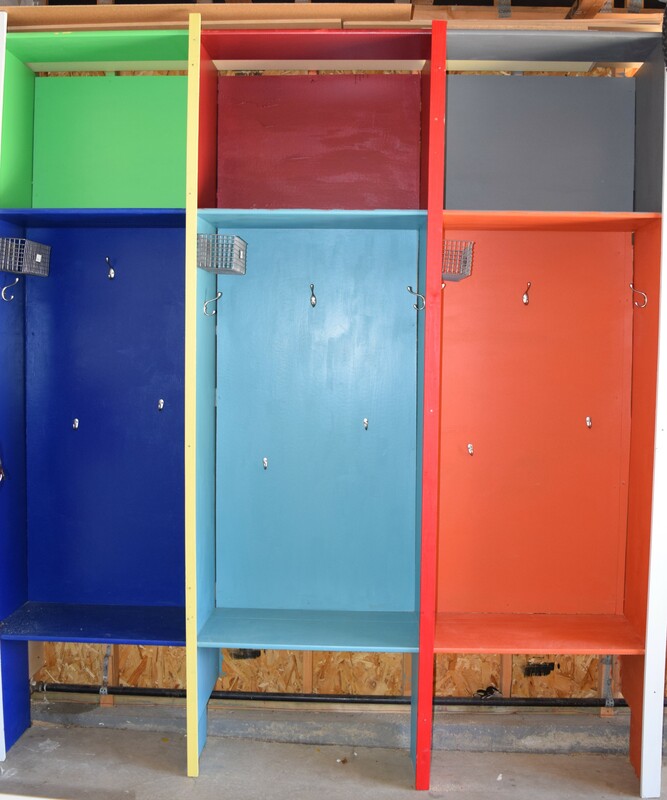 Repeat the steps for your shelf and cubbies up above…and the top of the lockers. 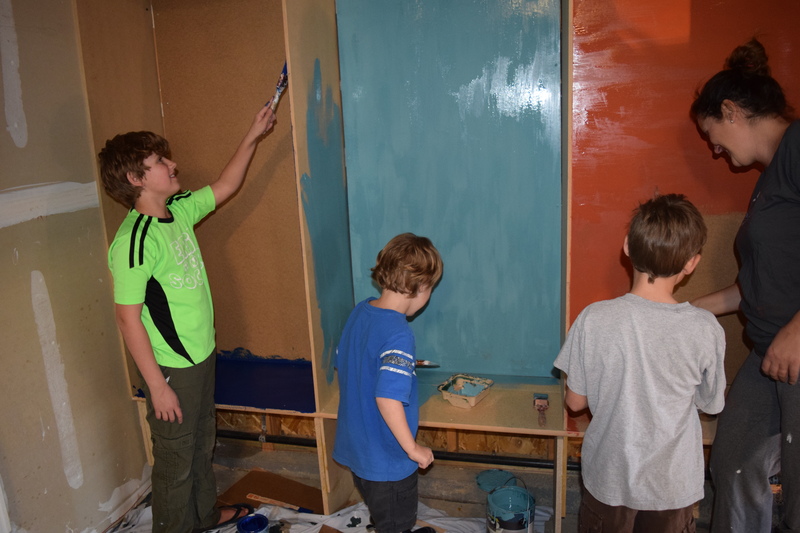 I decided to let the kids pick from all the left-over paint and get creative! This is what they looked like finished. Hi Heather! it’s Stacy from BlackDog 🙂 Love! this DIY Looks like it worked out great and you all had fun, or I hope mostly fun building it and filling it. Wish I had room in our 2 car garage for such a a space but in laws in the basement the garage is stuffed to the brim. Great to hear from you! I am so sad The Black Dog closed. It was my favorite coffee shop! Keep in touch!